There had been speculation that the new Nokia Lumia 2520 tablet would be a no show at today’s event, but we are pleased to see the new device make an appearance. There were other products launched at the event, but we are only interested in the new tablet for the moment. The Nokia Lumia 2520 specs will not win any speed contests, but what they do is offer you an alternative to the new Surface 2 from Microsoft, as both run on Windows RT. Some of the main specifications include a 2.2GHz Snapdragon 800 processor, 2GB of RAM and 32GB of storage. Nokia’s new tablet also packs a 800mAh battery with quick charge, a 6.7-megapixel rear-facing camera and a 2-megapixel shooter at the front. You can see that these specs will not allow it to compete on a level playing field with some other tablets, but then the 2520 will do very well in its market. 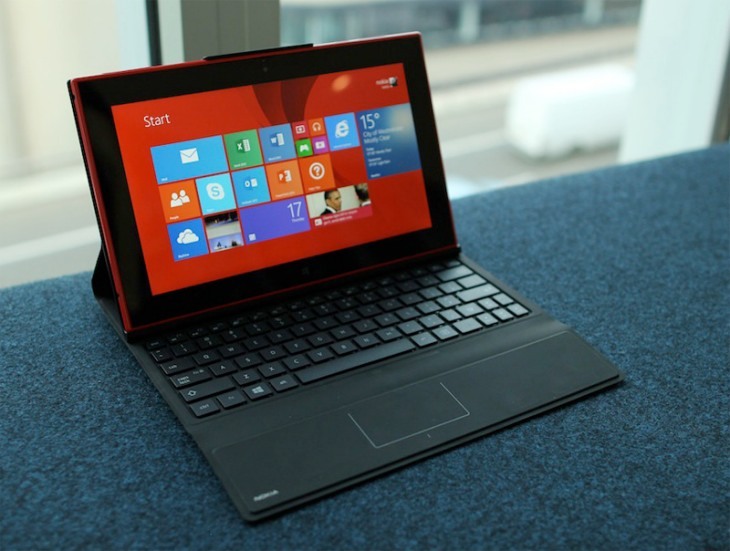 The Nokia Lumia 2520 price is rather impressive, as it will cost just $499 when released. There is also a 2520 accessory, the Nokia Power Keyboard, which will cost an extra $149. Going back to the Nokia Lumia 2520 release date, the company is being a little vague and has slated it for a Q4 release. We have no idea when this will be, but we have a feeling Nokia will release it around Black Friday, as they know this is the time when consumers go nuts. More details can be found on the Nokia website.